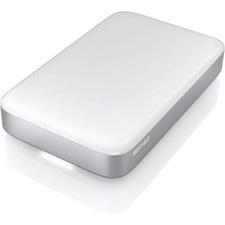 Fantom Drives Gforce/3 USB 3.0 hard drives are the fast external disk drives. With the Hi-Speed USB 3.0 interface, the Fantom Gforce/3 features a maximum bus speed of 5 Gb/sec... Fantom Gforce/3 USB 3.0 hard drives are also backwards compatible with USB 2.0 connections. Fantom Drives Gforce/3 USB 3.0 hard drives feature the ruggedness and durability you've come to expect from Fantom Drives complete with a fan-free design for a virtually silent operation. Whether you want to increase your available storage or you have critical backup jobs that simply can't wait, the Fantom Drives Gforce/3 USB 3.0 hard drive is the storage solution you can rely on.